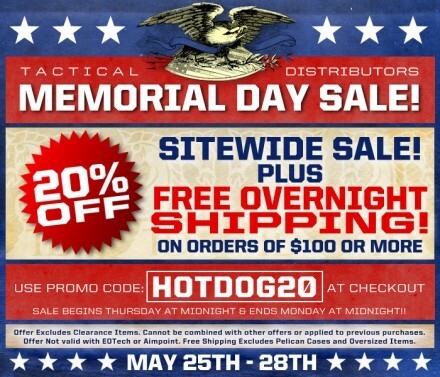 Tactical Distributors is celebrating Memorial Day weekend with a huge sale! 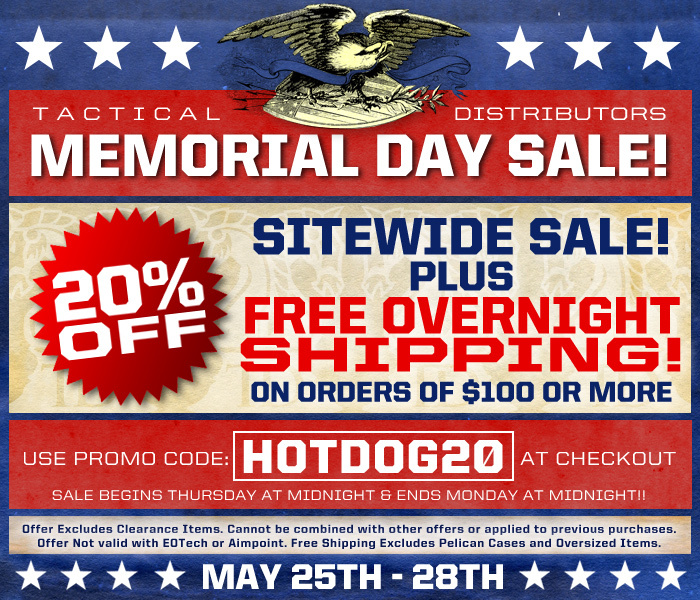 20% off all items in the store (excluding EOTech and Aimpoint) with all orders over $100 getting free overnight shipping (excluding oversized orders and Pelican cases). It starts midnight tonight (EDT) and ends May 28th at midnight. Use promo code ‘HOTDOG20’ at checkout to apply the discount. This entry was posted on Thursday, May 24th, 2012 at 12:00	and is filed under Clothing, Flashlights, Gear, Glasses, Kit, Optics. You can follow any responses to this entry through the RSS 2.0 feed. Both comments and pings are currently closed.